Money doesn’t buy us happiness, but having financial security is a sure-fire way to keep us on an even keel emotionally. So when we find ourselves without money, and trying to cope with the pressure of being in debt, it’s no wonder we find ourselves struggling emotionally. In some cases, this is taken one stage further, as many people begin to suffer from mental illness because of the toll that debt takes upon their lives. In this article, we will look at the emotional fallout of debt, and it may be that you can identify with some of the issues raised. However, there are always solutions, even in the darkest of times. So while debt can overwhelm you, triggering all kinds of emotional responses, there is still a way out of the problem. Tied in with stress, anxiety is something many people feel when they are struggling with debt. Every time the mailman walks up the drive, there is anxiety that yet another bill will arrive. The phone rings. Will it be the bank or the utility company with a demand? Anxiety brings lack of sleep, physical pain, and a nagging worry that won’t seem to go away. Not being able to pay off debt is a frightening experience. There is the fear of the future, wondering how it will be possible to survive, raise a family, and keep the home, while trying to pay off money owed. Opening the latest bill can trigger an accelerated heart rate and a cold sweat. No wonder then, that many people go into denial and ignore bills to stem this negative emotion. Unfortunately, this isn’t the answer. There has even become a name for this problem in medical circles: Debt-Anger Syndrome. A person becomes mad at the world around them, deferring some of the blame away from themselves and onto others. There is anger at the loan company for demanding money; anger at the postman for trying to deliver the bill; anger at the kids for damaging their clothes; and anger at the marriage partner for spending too much money. Anger will also turn inwards, and the person will be mad at themselves for getting into this situation in the first place, whether or not blame can be directly attributed. When despair settles in, a person’s self-esteem can hit rock bottom, and depression is the result. At this stage, everything seems hopeless, and a person can spiral downwards mentally. With no end in sight, a person might take foolish measures to end the pain, such as self-harming, getting into further debt by buying something to make them happy, or worse. – Reduce your bills by changing your energy provider. – Consolidate your debts. There is some helpful advice as to how at debtconsolidation.co. – Tear up your credit cards, so you aren’t tempted to use them again. – Talk to your bank, loan company or utility company. There may offer a helpful solution. 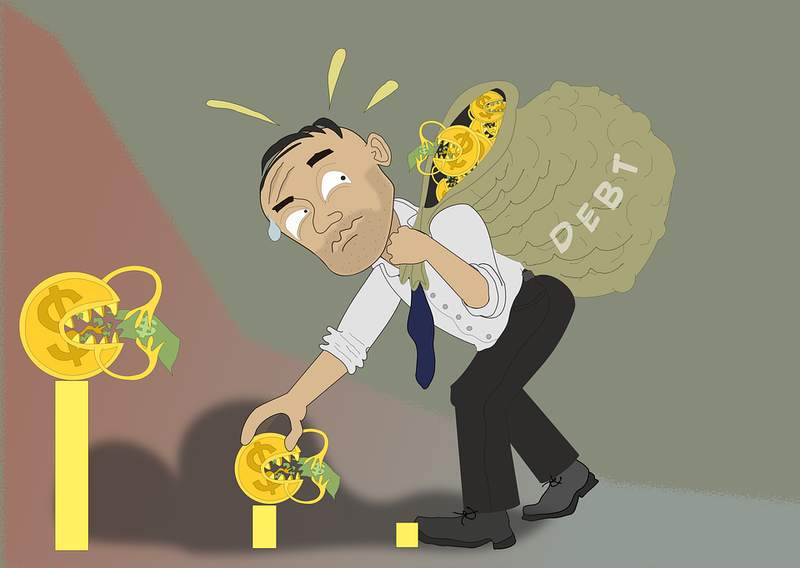 – Contact a debt management agency to help you get out of the situation. – Speak to your doctor or a counsellor when you feel depression setting in. Take care of yourself and others. Thanks for reading.